The ancient Egyptian idea of the afterlife included the nasty possibility that the dead might have to carry out agricultural labour. Even the royals weren’t above being called upon to get their hands dirty in the hereafter. However this unpleasantness could be avoided simply by creating small mummy-shaped figurines of the deceased to magically perform the work on behalf of their owner. These were called shabtis (later, ushabtis) and were a regular feature of tomb equipment from the Middle Kingdom to the Ptolemaic Period (around 1900 B.C. – 30 B.C.). Originally the shabti acted as a substitute for its owner, but it later came to be regarded more as the dead man’s deputy or servant. King Tutankhamun was buried with a staggering 413 shabti figures. This one, made from limestone, came from the ‘Treasury’ room of his tomb. The king wears the royal nemes headdress, and bears the crook and flail, symbols of divine kingship. The details are strikingly highlighted in black, with the only colour being the king’s pink lips. Tutankhamun’s Afterlife helper is now housed in the Egyptian Museum in Cairo (JE 61046). 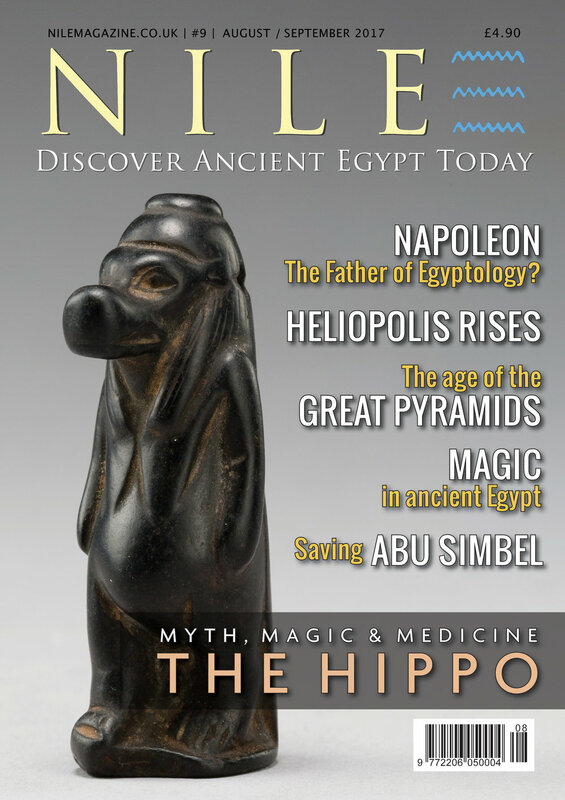 If you enjoyed this article, why not subscribe and enjoy more Nile time. Click here to lose yourself in ancient Egypt.